the right franchise opportunity. We’ll be at the Phoenix Convention Center in Phoenix, AZ, on May 20 & 21, 2014. What’s ALFA? The Assisted Living Federation of America—the largest national association dedicated exclusively to professionally-managed, resident-centered senior living communities and the seniors and families they serve. We’ve worked with a number of nationwide and independent senior living residences. Our process returns facilities to service the next day, while saving up to 75% of replacement costs. With offices across the US and in Canada, we can quickly and provide services to senior living communities regardless of size or location. 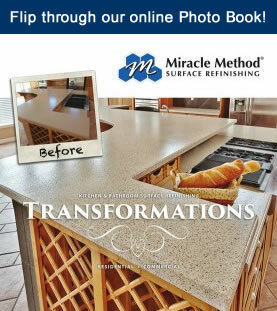 To learn more about Miracle Method and its surface refinishing franchise opportunity, visit www.miraclemethod.com/franchise, or call John Tubiolo at 877-434-5096 for franchise information. 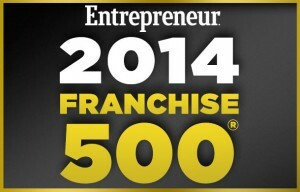 Entrepreneur Magazine took a close look at each of these as well as other elements for thousands of franchise brands to determine their 35th Annual Franchise 500—the most comprehensive franchise ranking in the world. So, how did we do? Miracle Method Surface Refinishing took first place in our category (again)! We are also ranked an impressive 230 overall—out of the top 500. 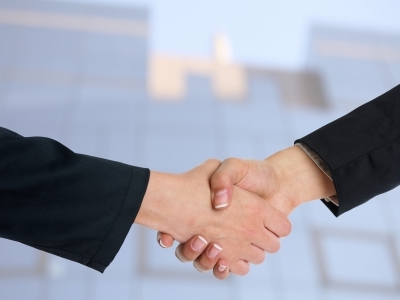 All companies, regardless of size, are judged by the same criteria: objective, quantifiable measures of a franchise operation. So the top 500 truly represents the best of the best. Miracle Method continues to be recognized as a leading brand by a number of franchise industry publications and associations. 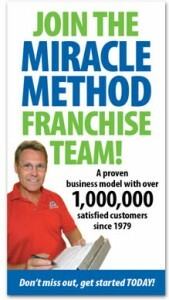 Franchise Business Review also named Miracle Method one of the Top 50 Franchises again for 2014 for owner satisfaction—based entirely on the opinions of our franchisees. At Miracle Method, we’re committed to our franchisees—and we see this award as validation that we’re succeeding. Miracle Method has more than 135 franchises nationwide and in Canada and is actively recruiting to meet increasing demand for our refinishing services. 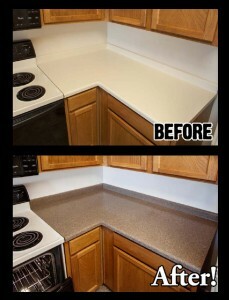 To learn more about Miracle Method and its surface refinishing franchise opportunity, visit www.miraclemethod.com/franchise, or call 1 855-212-7337 for franchise information.